Ceremony Ideas - Katie & Paul's Big Day! I saw this on MarthaStewart.com. 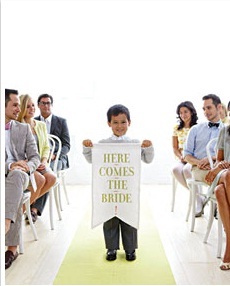 I love it and I would like my 9 year old nephew to carry it down the aisle. It's totally unnecessary, but I think it's different. it erupts like volcanoes and then subsides. And when it subsides you have to make a decision. they find that they are one tree and not two." I recently heard this vows at a friends' wedding. I had never heard them before and I immediately knew that they had to also be our vows. through the best and the worst of what is to come as long as we live."